Spring! It's quite possibly my most favorite season. I love the April showers. I love the spring scents and the flower trees blooming. I don't love the allergies it's giving me this year, but hey, I'll take it. The colors...the fresh...the new. I love it all. Spring always makes me feel new! 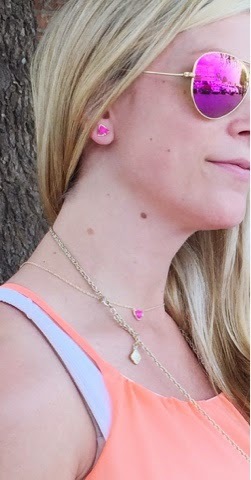 I love having new fun jewelry and prints to make my closet seem fresh and ready to tackle spring and summer! 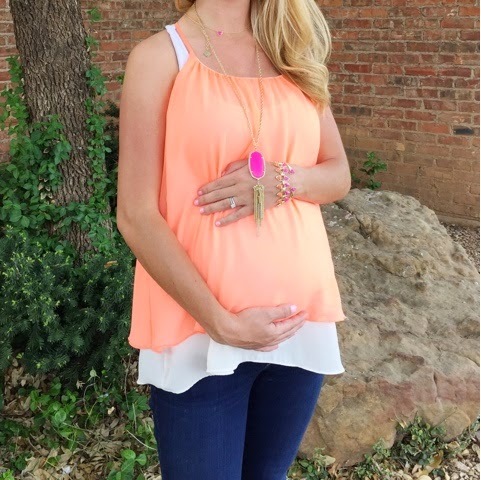 One of my favorite jewelry designers is Kendra Scott. She has a sweet story of how she started making jewelry for friends and family and her line just kept growing and growing. Now, she is one of the most renowned designers worldwide for her bright and vivacious colors and trends. 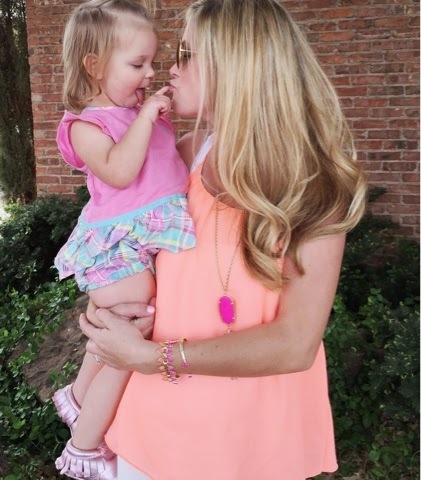 In fact, she quite possibly takes the cake as blogger's favorite accessories. It's EVERYWHERE. So, I'm helping KS get the word out about the new Via Maya line. You can read about the inspiration for the Via Maya collection HERE. I am IN. LOVE. YALL. I really love all of the lines, but this line is just perfect for spring and summer. 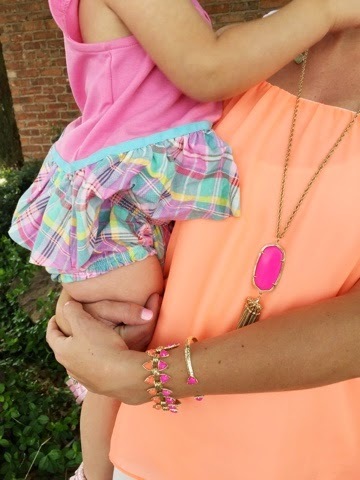 Bright and bold colors. Mixes of colors. Big pieces and small pieces. You name it; you will find it. I'm especially loving the dainty pieces to mix with the bigger ones. And the NEONS..ohhh I just love them! See more of the inspiration behind the collection on Pinterest, or check out our Summer catalog to start building your wishlist. Our Via Maya Collection launches in-store and online TODAY Wednesday, April 15! Another one of my spring favorites is organization! I love getting organized and feeling like my ducks are in a row when spring comes around. 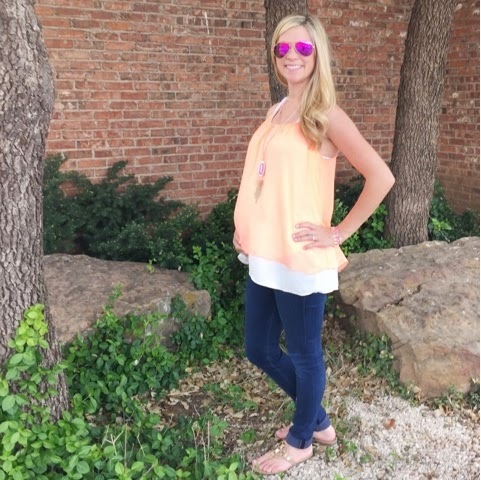 I don't know if it's the nesting at 31 weeks or the spring cleaning that I've been doing, but I am feeling the need to have everything in its place. May Books are something that really help me stay on top of what I have to do. Especially for scheduling things for this blog and doctor's appointments, it's been so wonderful! The great thing about May Books is that you can design your own. You pick your colors, monograms, personalizations, and even what kind of calendar you want on the inside. I had the hardest time choosing which one I wanted -- because really, I want them all! I'm so excited to tell you that you will have the chance to take these two favorites of mine HOME with you!! 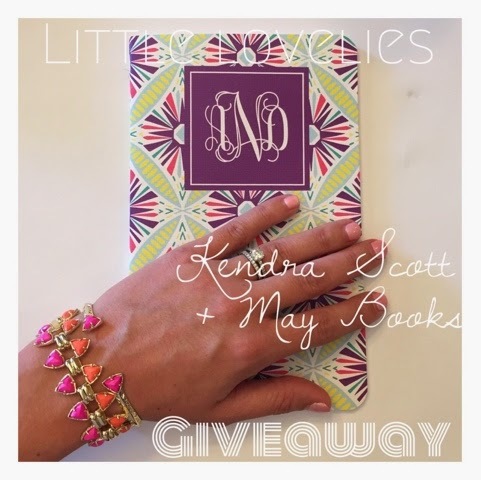 You will have the chance to win a $25 gift card to Kendra Scott and your very own May Book! Here's how you will enter. You can follow the steps below. Then head over to my Instagram where I will have even more ways for you to win! There will be ONE winner that takes all! Disclaimer: Little Lovelies did not receive any compensation for this post, although as part of this program contributors may receive items to sample or review. Opinions expressed are that of the contributors.